This pair of red stone embedded designer ram leela earrings features teardrop shaped red stones in a circle studding the stub of the earrings while Read More..intricate design surround them. 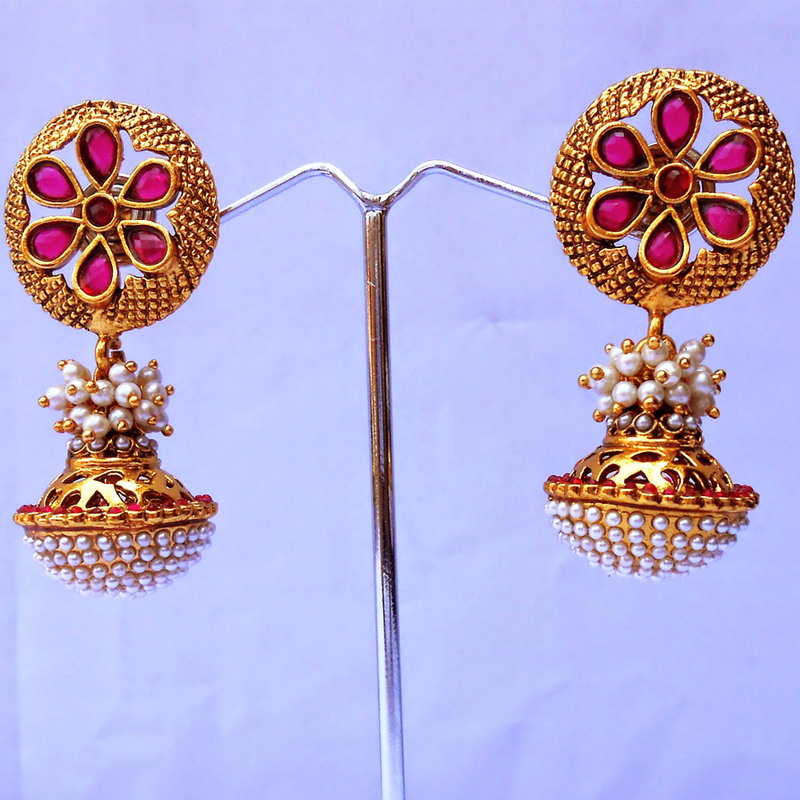 Antique polish enhances the beauty of this piece by bringing out the design features present on the gold plated brass body while the pearls present on the jhumka part enhance the beauty of the earrings even further. The beads present at the junction of the jhumka and stub provides a unique look, which is bound to mesmerize everyone fond of quality jewelry pieces. Show Less..